Yet another major winter to hammer some of the same areas in recent memory. A very similar strength and track as the storm system on Saturday. However, more moisture will wrap around from the Gulf of Mexico into the colder air on the back side. 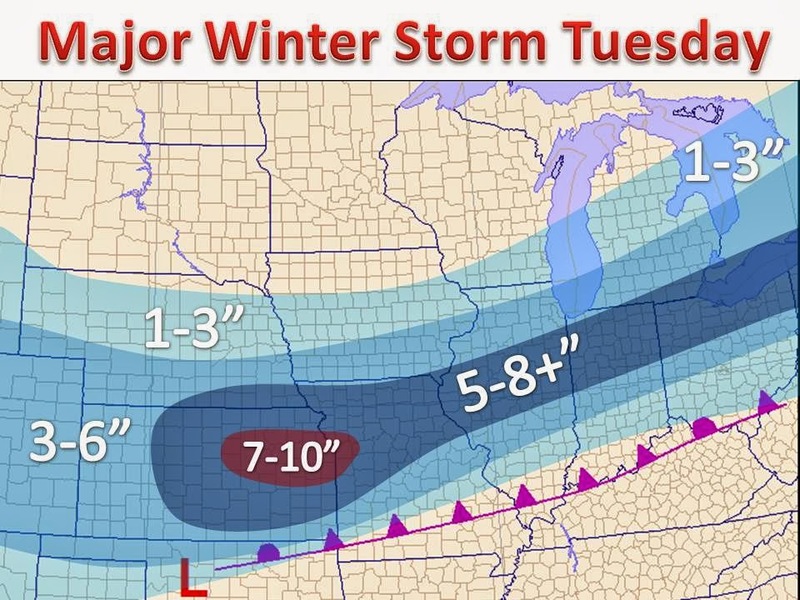 A long band of ~6" of snow across the heart of the Midwest will blanket these areas by Wednesday. The map on the left will give you a good idea of what to expect in your neighborhood. Computer models are starting to nail down these winter storms down this winter, so confidence in fairly high.